It’s hot. Your vehicle is sweltering inside. 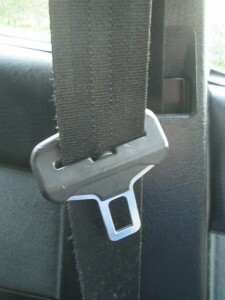 You know the sticky, disgusting feeling of the seat, the heat of the steering wheel, and the sting of the seatbelt. 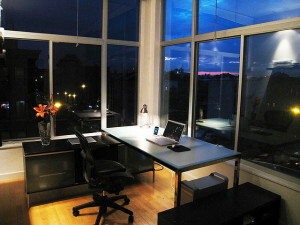 Window tinting helps cut down on the heat and glare of the sun. The numbers are stunning: tinting cuts down on UV rays by 99%. These are the same UV rays that make the expensive upholstery in your car fade. Vehicle interiors almost always fade in different stages, creating a very obviously old, dirty interior. Very few people think about how UV rays can damage skin as well. Tinting your car windows can help protect you, your vehicle, and even provide enhanced optimal clarity when driving. Tinting a vehicle’s windows helps block glare, heat and harmful UV rays. Oh, and did we mention that it looks pretty awesome too? When it is done well, it looks downright classy. Some of the not-so-classy DIY jobs, well, we will leave those for another day. There are about a million and a half different options and styles for tinting a window. The actual window films being used today, however, can be broken down into about four categories. Before going out and shopping for tinting services for your car (or installing it yourself), it is helpful to understand all the common types of window film on the market. Don’t get hosed in a deal before you know what you are dealing with. Luckily for you, we’re here to introduce you into the wide world of window tinting. Carbon films are a non-metal tinting option invented for use in more modern cars, specifically vehicles with sensitive electronic antennas built into the glass on the car. Your phone, GPS, radio, in-vehicle wireless, and other signals can be interrupted by films with metal inside of them. Imagine missing out on all those hands-free calls from home to work (we know, you wish you could) because of optional tinting. Carbon film was developed to solve this problem. There are many car owners who choose carbon tinting simply for the manufacturer warranty against fading that comes with many installations. Carbon is widely considered to be the next generation window film. Nano-hybrid, non-metal, carbon technology is the future of window tinting. With better heat, infrared, and UV rejection, carbon films are recognized as offering more comfort with a great aesthetic and long-lasting durability. Think of this as the opposite option to carbon. Metallic films are predominately used for their high level of heat and UV ray reduction. Drawbacks? Well, there are a few. GPS and cellphone signal is often interfered. These films are much shinier on the outside of the vehicle than other tinting options. So, if you really want to block all those hands-free calls, and you have an adventurous spirit that loves navigating without GPS, go for metallic films. This is another solution that few DIY’ers would ever try (and for good reason). Coating is usually sprayed on, but few businesses offer this option since windows must be completely removed before coating is applied. Coating does, however, last a very, very long time in most cases. High performance, high visibility, with solar and UV heat rejection. Infrared films are designed specifically to be non-corrosive and non-fading. Since these films make no interference with technology, they are becoming quite popular. 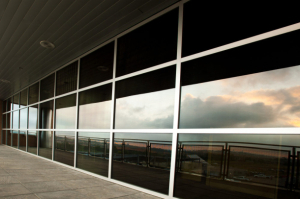 Infrared films can offer high heat rejection even with lighter color installs, making them great for states and areas with stringent window tinting regulations. This is a similar option to coated windows since OEM usually comes from the manufacturer. OEM is actually tinted within the glass and is an integral part of the window manufacturing process. The drawbacks? Well, if you wanted strength and more privacy, OEM is out. Almost all of these windows only offer a very limited tinting strength. Speaking of regulations, there are a few things you need to know before jumping into a cooler car. Nobody wants a ticket (or two, or three). We are including an incredibly helpful chart from Tint Laws that shows just what is allowed in each state. Most states have regulations that limit the strength of tinting in a vehicle. These laws and regulations are designed to make it easier for law enforcement, EMT’s, and other state entities to work in dangerous situations. Laws can (and do) vary even region by region within a state. They also change based on the most recent legislation. Almost all regions in the US have some sort of tinting regulation and strength percentage, so it pays to do your research before you get a ticket and are asked to remove the tinting. 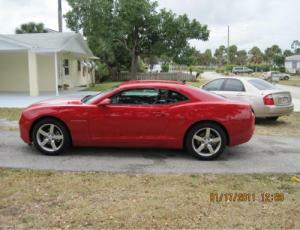 For example, Florida limits the tinting of the front side of a vehicle to 28% visibility. Rear sides and back windows are limited to just 15% in Florida. These numbers might be interpreted differently in different county jurisdictions. The only way to ensure that your tinting percentages are legal is to consult your local authorities. This chart is a great start as to what percentages of window tinting visibility are allowed in each state, but it is still a good idea to contact your local city for ordinances, regulations, and percentages allowed. Check this chart to avoid seeing the red and blue lights behind your tinted rear window. 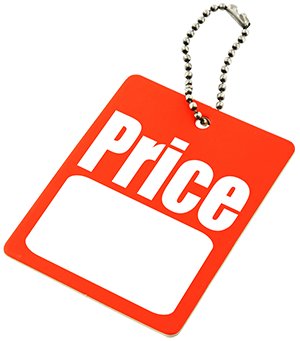 Prices fluctuate. We know, this is a bit of a copout, but it is incredibly true. 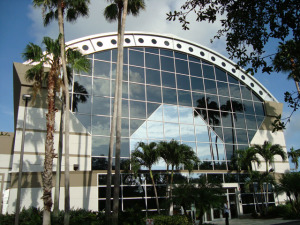 In areas like Miami, demand for automotive window film is at an all-time high. Finding a tinting company with an open time slot isn’t as easy as you might think. Still, professional window tinting is pretty affordable (and MUCH more convenient than struggling with the sticky stuff yourself). So, what can you expect? Quality window tinting with high performance films like carbon, infrared, and ceramic usually costs between $200 and $800. Some companies offer discounts and warranties to sweeten the deal, so make sure to price check before picking a single service. Obviously, prices really do fluctuate. The only way to find out exactly what you are going to pay is to venture out and get a few price quotes. We know, we know, you wanted exact prices. Unless you pick up the phone and dial, no dice. Let’s start off my discussing how truly difficult it is to DIY car window tinting. The process is detailed, sticky, frustrating, and generally a cluster… you get the idea. There is a reason so many shops specialize in the service. Still, you are brave enough to venture out and try it yourself. So, just for you bold weekend warriors out there, here are five steps to get you started on creating a cooler, better looking car. Clean the windows you are going to tint. No, we mean CLEAN them. 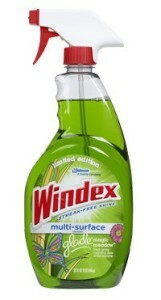 This is no ordinary Windex kind of cleaning. Buy some professional window cleaning solution and apply liberally. 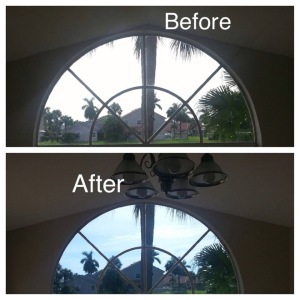 Use a squeegee to really clean them and get rid of everything on your windows. If you are confident enough, use a razor blade to scrape off any left-over residue. Anything you miss will likely create unsightly, unprofessional bubbles in the film. After you’ve cleaned your windows, it is time to measure and cut. Unroll film onto the inside of the window first. Then (with the silky side or liner side up), cut the film to the size of the window. Make sure, however, to leave about one inch on both sides of the window to get complete coverage. Okay, so this step takes a steady hand. Move film so that it protrudes just a quarter of an inch below the top of the inside casket. Now trim the vertical edge and then lower the window two inches and trim to fit the top of the glass. 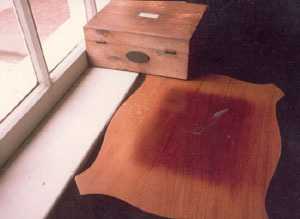 Now, use the solution that came with your film, or that you purchased elsewhere, and spray it on the window (LIBERALLY). Next, take the liner off of the film and expose adhesive solution to the film. If you don’t have a squeegee, you don’t have tint. Start by rolling the window down slightly. Carefully, and I do mean carefully, move the film onto the glass with adhesive side down. Slide the film (slowly, methodically) from the bottom working towards the top. Here’s where you grab your squeegee. Press it down on the middle of the film and work your way out, smoothing out any bubbles or wrinkles along the way. Apply pressure until you physically feel it clinging to the glass. Then, roll the window up and apply the film down until it is under the window gasket. Push any leftovers suds, bubbles, and water toward the window’s edge, and then wrap your squeegee in a towel and blot it away. Once you’ve applied your window tinting, enjoy a cooler car! After window tinting, be sure to smooth out any areas with the squeegee as they appear to create a smoother surface. Okay, you’ve read a lot of exposition by this point, so let’s just give you an easy list. Needless to say, we are in the professional auto tinting camp. When it comes to your vehicle, it is not the right time to cheap out. Decide for yourself, but do yourself a favor: call a professional window tinting service for an estimate. Q: How long will it take to tint a car? A: Usually (depending on the size and shape of the job) between two to four hours. 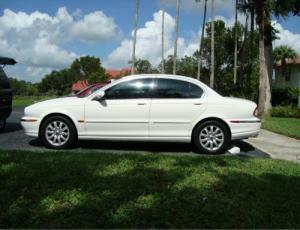 Q: How to prepare the car for window tinting? A: Clean the windows. Clean them again. Then clean them a third time. The cleaner the window, the better the job. Professional window tinting companies will do this for you. Q: What should I consider before getting window tinting done? 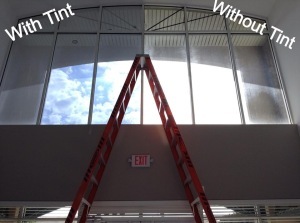 A: After-market tinting is illegal in some places, especially very dark tinting, even though some shops offer it. Make sure to check with your local law or code enforcement before scheduling an appointment. 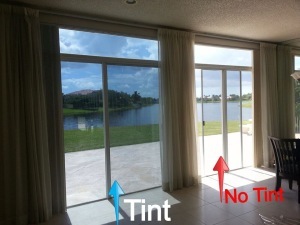 Also, tint jobs (even high quality ones) look great until they peel and chip. Choose a reputable installer with high quality films that offer some kind of warranty. (Better to be safe than sorry). Q: What if my windows are already tinted but I want to get a new installation? A: That is easily accomplished when you use a professional service. Expect the price to go up accordingly with the amount of tint that must be removed. 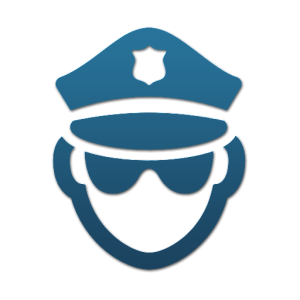 Q: Does an officer’s observation of tinted windows on a vehicle constitute probable cause for a traffic stop? Q: How should I clean tinted car windows? A: Use normal window cleaner on the outside. On the inside, however, simply use a paper towel and water. Q: When traveling from one state to another, what happens if one jurisdiction has legalized tinting laws and another doesn’t? A: Technically, you could still get a ticket when traveling to another state. Although rare and disputable, states like Ohio, Utah, and Iowa are known for giving tickets to out-of-state tinted vehicles. Q: Should I notify my insurance company about my car window tinting? A: Yes. It is always a good idea to call your insurance agent and discuss modifications made to your vehicle. Tinting your vehicle’s windows cools down your car and makes it look a bit cooler too. Once you know what kind of tint options are out there, what it takes to do it yourself, and what it might cost from a professional, there is nothing stopping you. Check out your local laws, call a few window tinting services, and start driving without the sticky, burning seat, the heat of the steering wheel, and the sting of the seatbelt. We hope this guide was useful for you. Feel free to write your feedback below and share this page with your friends.